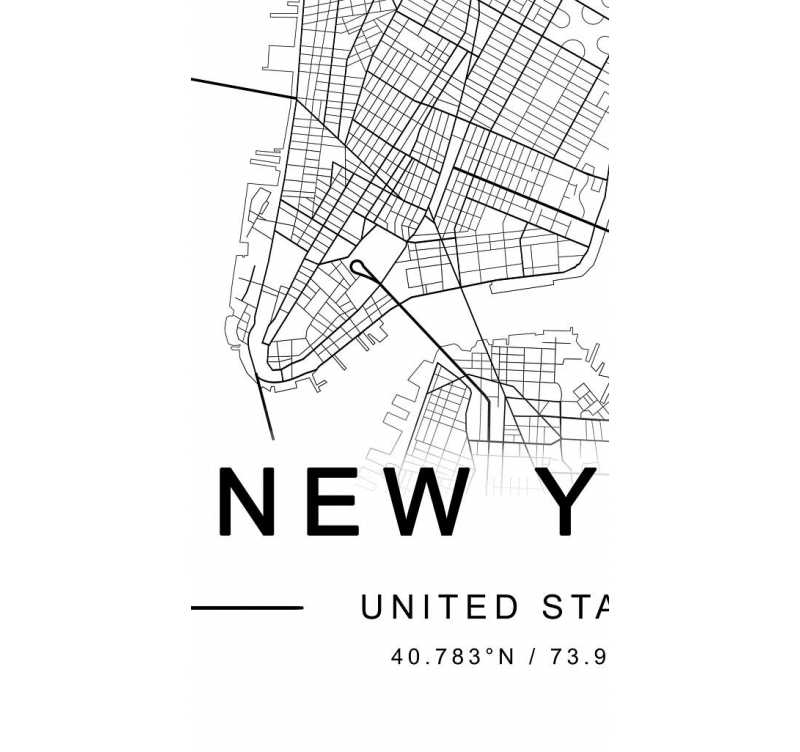 A vintage decoration for a street map of New York ! 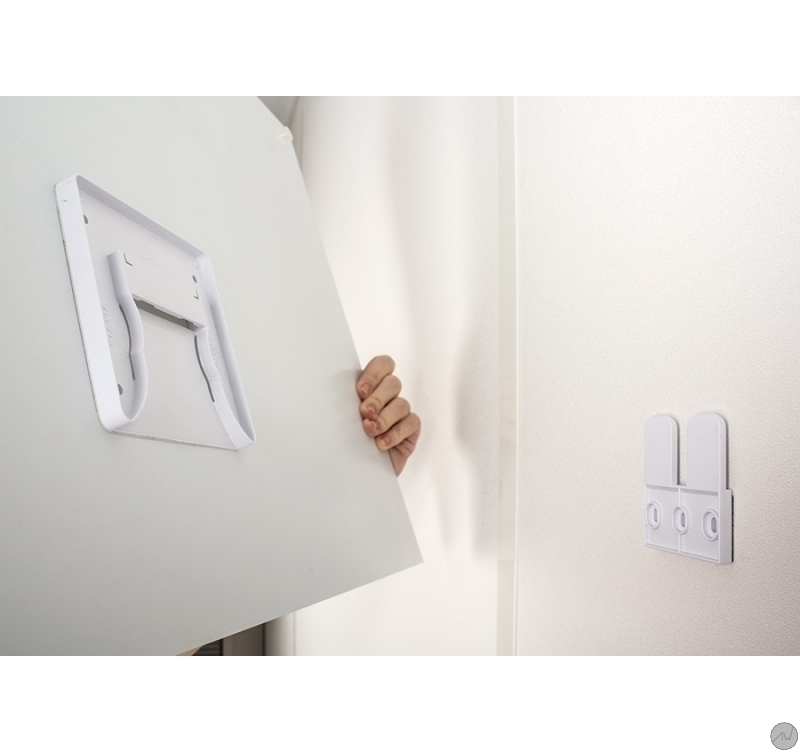 This decoration is printed on aluminum for a unique quality. This frame is available in several sizes. 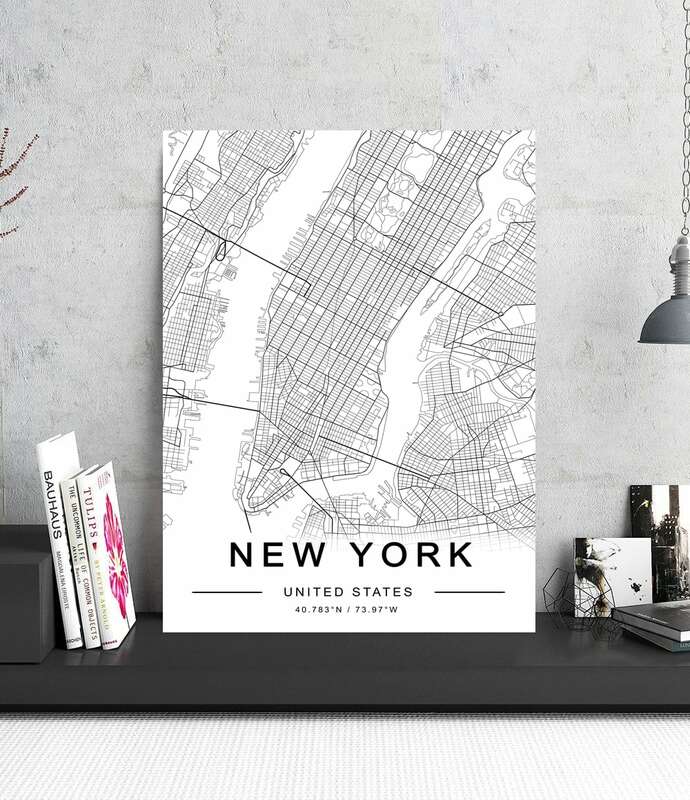 A city map revisited by the artists of Artwall and Co to give a very elegant aluminum wall decoration on the walls of your apartment. 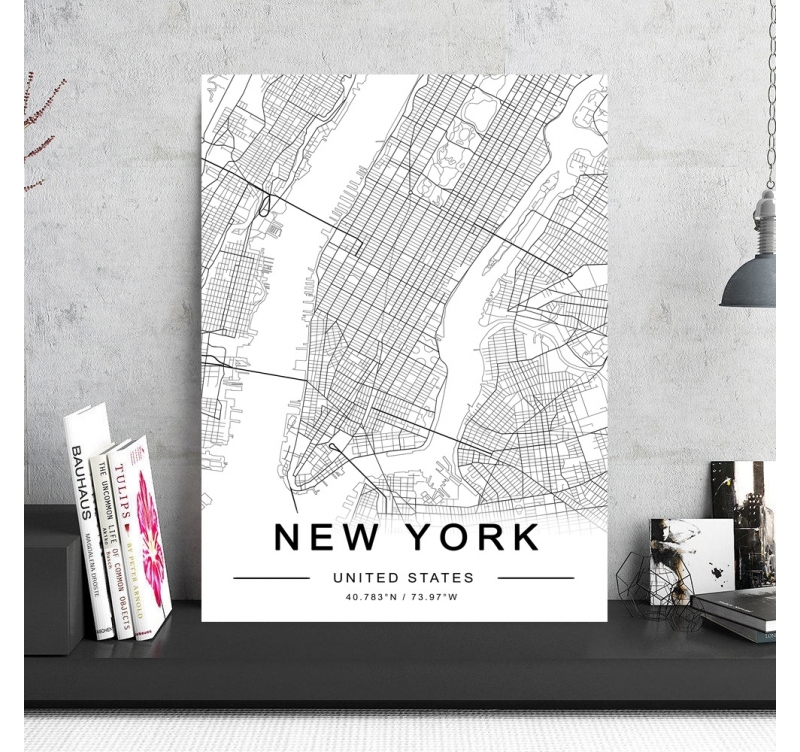 The most stylish metropolis in the world and copied for its modernity and elegance, on a detailed map in black and white that makes it easier to read. That's what you get with this personalized wall decoration that brings simplicity and detail to your home decor. The Hudson River which divides the city into three parts is recognizable among all, leaving Manhattan in the middle of an ever-growing metropolis. 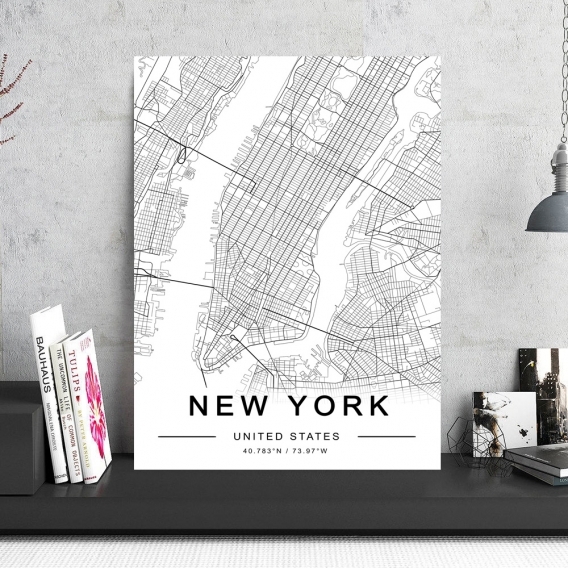 This aluminum wall decor is ideal for a modern office or living room to add an original touch. 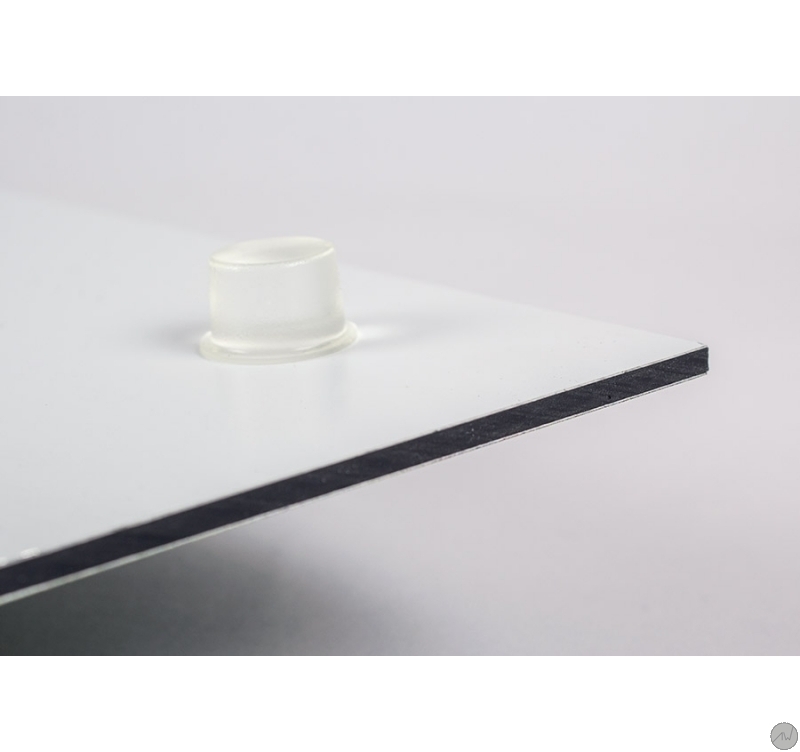 This aluminum board comes with its hanging system and a glossy finish for a longer life.